Babyville Boutique Totally Trainers. 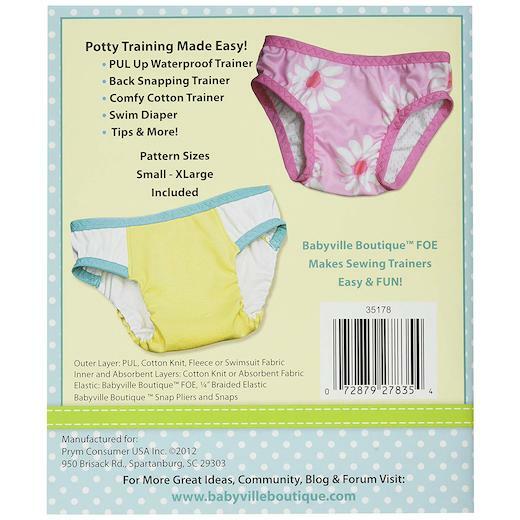 Potty Training Made Easy! Toddlers to age 4. Features several variations: innovative snapping trainer pant, regular pull-on style and a swimsuit design. This book features four styles: PUL Up Waterproof Trainer, Back Snapping Trainer, Comfy Cotton Trainer and Swim Diaper. Patterns for sizes small to extra-large are included. Softcover, 24 pages. Published 2012.